So, I have always been one to multi-task, keep busy, work on at least 20 projects at once and I constantly have ideas and lists running through my head. Sometimes, I can’t sit still. If I’m not doing something, I feel like I’m wasting time. I’ve said it before but I get this trait from my dad. He is 71 years old and is showing no signs of slowing down. When we thought he might be considering retiring . . he was actually making a deal to open up another restaurant. Which he did. He’s a little crazy but what hard working first generation Korean father isn’t? My dad is a doer. He’s a risk taker and not a talker. Because he just does it. Sometimes he doesn’t listen to us. . and just acts. Goes with his gut. . . But sometimes, even the crazy ones need to slow down. . the risk takers, the doers. Sometimes, you just have to take a seat, observe, take inventory and slow your roll. .
With the school year now in full swing for my daughter and having everyone on a schedule, juggling everything, making sure the homework gets done (which only takes like 3 minutes; she’s in kindergarten), house work, laundry, getting dinner on the table and – ugh dishes, kill me now- , making sure the kids are bathed, with their teeth brushed and in bed by a decent hour, I’ve definitely been slowing down a little, re-prioritizing, and just trying to get smarter with how I do things during the week. Dinner is one of those things. I said it last month, and I’ll say it again. 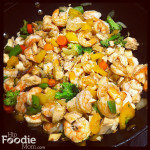 I’m now looking for quick meals to cook throughout the week. 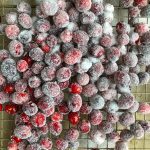 Recipes that freeze well and can be re-heated. Slow cooker/crock pot recipes that do all the work for you (some of these coming soon!). Recipes that don’t require me to hit up 3 different grocery stores looking for some obscure ingredient that only Whole Foods carries. Who has the time Monday through Friday? 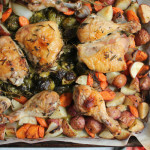 This week’s theme for #SundaySupper is coming at just the perfect time. . 5 Ingredients or Less? Gotta love that. 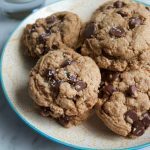 Whip this one out when you need a quick snack for yourself or for the kids after school or for appetizers. The pepperoni can easily be removed and replaced with mushrooms if you want to go vegetarian. These pizza puffs are supporting by puff pastry habit and I just can’t seem to stop eating these! These are flaky, cheesy, oooey, gooey deliciousness. Truth be told, I was trying to make these into pretty half moon-ish shaped puffs (like these) but I got too greedy with the mozzarella, basil and the rest of the filling and made them too big! I couldn’t close them! So, I just pulled two ends together and stuck in a toothpick. Word. 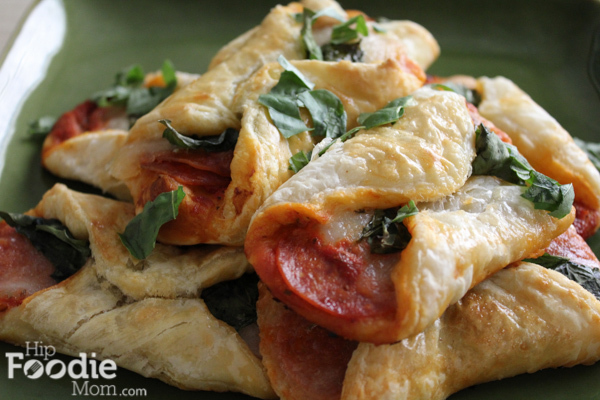 With the warm, flaky puff pastry, these pizza puffs are awesome! You can also use an egg wash to brush on these before going into the oven for added color. Also, the pepperoni can easily be removed and replaced with mushrooms if you want to go vegetarian. Using a cookie cutter, glass jar or small bowl, press down into the thawed pastry dough so you cut round circles from the puff pastry. 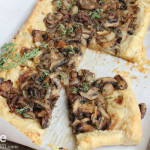 (You can also just cut the puff pastry dough into 4 squares.) Cut the puff pastry on wax paper or foil so it's easier to pick up. To assemble: spread some tomato sauce on the pastry dough, lay down the pepperonis (if using), then the mozzarella and top that with a few leaves of basil. Bring together each end and pin with a toothpick (to ensure the puff stays closed while baking). Bake for about 15-20 minutes or until lightly golden. Sprinkle on more basil if desired and serve. This week, our amazing #SundaySupper group is contributing recipes featuring Dishes using 5 Ingredients or Less! 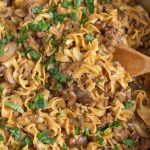 For those days when you simply don’t have the time for a complex recipe or maybe you’re on a budget or maybe you really only have five ingredients left! Please join us on Sunday, September 30th, 2012 as we share our delicious, mouth-watering recipes! Here is the line-up and what everyone is bringing to our #SundaySupper table. Be sure to stay after dinner at 7pm EST as we share our recipes during our #SundaySupper live chat! Please be sure to join us on Twitter throughout the day during #SundaySupper. We’ll be meeting up at 7:00 pm (EST) for our weekly #SundaySupper live chat where we’ll talk about our favorite 5 ingredient recipes! All you have to do is follow the #SundaySupper hashtag, or you can follow us through TweetChat! 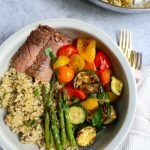 We’d also love to feature your 5 ingredient recipes on our #SundaySupper Pinterest board and share them with all of our followers! « Korean Food: Chapchae (Stir Fried Noodles) in celebration of Chuseok! I am the same way when it comes to multi-tasking and sometimes I take on too much so simple meals are a must for me as well. These look so good. That’s what I’m learning too! Thank you so much, Laura! Slowing down is as much a part of life as doing. No wonder you can´t stop eating these, they are wonderful! 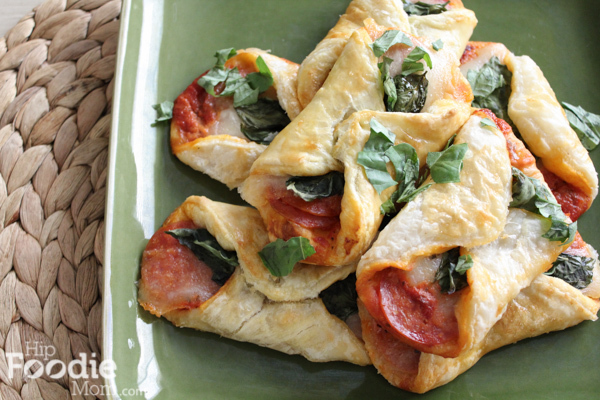 Puff pastry with cheese and pepperoni, a favorite combination. Have a great sunday Alice! Thank you, Paula! You too! Yea #SundaySupper! These would be a perfect after school snack! My boys would love them!! 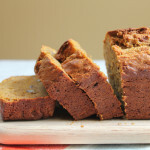 i’m always on the lookout for simple recipes because i have a very demanding day job. 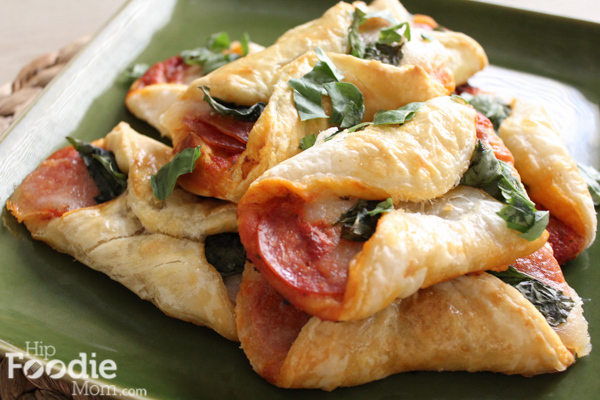 these pizza puffs look amazing and would make for just the perfect midweek dinner. Thank you so much! Yes, I ate these for my dinner the day I made them. . they heat up nicely in a toaster oven too! Hope you enjoy! I’m the same way…I have a million things going on and a running list of things to-do and things I want to-do. I’ve just started learning to say “no” to a couple of things…only to replace it with something else! 🙂 I wouldn’t have it any other way. It drives my husband nuts, but I think it would be worse if I was sitting on my arse twiddling my thumbs….not that that would happen with 2 toddlers! Does your dad live in Seattle also? Did he open another Korean restaurant? How inspiring…a new restaurant at 71! I hope to have that kind of energy in a few decades! Those are a great idea. I am always looking for something new for our Halloween party that the kids would like and this fits the bill perfect, thanks for sharing. Of course! Thank you so much, Tara! I hope these work out well for you! I think we all at one time or another in our lives take on to much. SO I know what you mean. This is a perfect appetizer, it is so easy to make! These look like such a fun snack. 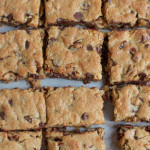 Great for munching on during game time or even dinner! Thank you, Lane! Yes, totally perfect for snacks, apps or a meal! These look so good! Definitely going on my favorite party food list! oh thank you, Karen! I hope you try them! Mmm…these look delicious. I bet the kids would love them! Thank you, Chung-Ah! I hope you try them. . 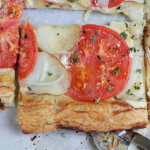 I love puff pastry so much! I love the Aussie Bakery brand puff pastry (you should find it at most grocery stores). . it’s better than P. Farm. I really need to utilize puff pastry more, and this seems like a good way to start. 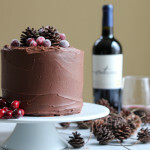 delicious looking! These would be perfect for a cocktail party! What a great idea for lunchboxes as well. Portable pizza is always a good idea! Absolutely. And kids usually don’t mind cold-ish pizza. what a great idea! I love that your dad is such a spitfire. I have trouble slowing my own roll so I can totally relate. These are really incredible. I cannot wait to try these out. We eat pizza way too much here so we’re always looking for ways to change it up a bit. Haha, thank you Kim! My dad definitely keeps our family on our toes! Thank you so much for the compliment! We also eat pizza over here at least once a week. . my husband LOVES pizza. He would eat it everyday if I would let him! There are perfect! I can’t sit still either, my husband always gives me a hard time that I don’t know how to relax! I know, right?! I totally drive my husband crazy sometimes. . that’s why I’m trying (my best) to slow down a little and sit back . . but it’s so hard! Haha, thank you so much, Sunithi! 🙂 I hope you do make these for your kids! Enjoy! Can send some to me now? This look wonderful, Alice. 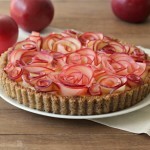 I love pastry and am sure I wont miss this recipe. No matter how busy we are, we will still enjoy the moment in the kitchen. Don’t you agree you will forgot all your stress when you’re in the kitchen? Have fun! I love these! Simple & delicious. I know they would be a great crowd pleaser! I know what you mean about slowing down. I’m about to take 2-1/2 months off from work to focus on other things I’ve been ignoring (like a house with mold in the exterior walls). These puffs look amazing and so easy. Add a salad and you have the perfect lunch! Hi there! We can all relate to slowing down huh? Wow, sounds like a big project. . I hope everything goes smoothly. You definitely don’t want to ignore mold! That can be dangerous stuff! I wish I had these right now 🙂 yummy!! Thanks Kristin! I just sent you some via cyberspace! 🙂 enjoy! If you put something in puff pastry, I pretty much will eat it. I love this idea and great for a party too! Susan, I am the same way. . LOVE puff pastry and can’t get enough of it! Thank you! These puffs look amazing! I’m putting these on my football menu. Yum! Thank you, Jennie! These are awesome and would be perfect to munch on while watching football! Hope everyone likes them! 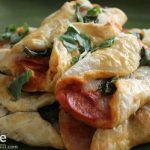 Pizza Puffs for 5 Ingredients Or Less #SundaySupperHip Foodie Mom | Hip Foodie Mom”. It’s an remarkable article in support of all the web viewers; they will obtain advantage from it I am sure.